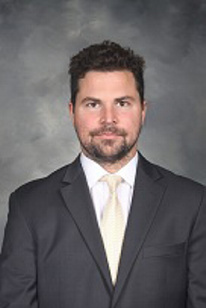 Riley Armstrong, a former opponent of the Portland Pirates, will be the first coach of the ECHL's Maine Mariners. The Maine Mariners have a coach. Riley Armstrong will be behind the bench for Portland’s new minor-league hockey franchise. The Mariners are scheduled to begin play in the ECHL in October, filling a void at Cross Insurance Arena created when the American Hockey League’s Portland Pirates left in 2016. Armstrong was introduced Saturday afternoon at CIA before an exhibition game between alumni of the Philadelphia Flyers and Boston Bruins, the two NHL franchises affiliated with the original Maine Mariners, who played in the AHL from 1977 to 1992. Originally from Saskatchewan in western Canada, Armstrong played professional hockey for 12 seasons and two NHL games with the San Jose Sharks. He played for three ECHL teams and six in the AHL, including three seasons with the AHL Worcester Sharks from 2006-09. A forward, Armstrong had 25 goals and 17 assists for Worcester in 2008-09, the season of his brief NHL call-up. Armstrong’s playing career ended in 2016 with the ECHL Reading Royals. His older brother, Colby, was a first-round draft pick of the Penguins who played nearly 500 NHL games. Armstrong said his first priority will be scouting and identifying potential players. The Mariners have yet to sign an affiliation agreement with an NHL franchise but plan to do so. Armstrong said he would work with that organization as well as Mariners vice president of hockey operations Danny Briere to fill the roster. When not taking part in the alumni game this weekend, Armstrong said he and his wife, Amber, have been shopping for a house. They have a 7-year-old daughter named Peyton and a 2-year-old son named Ezra.